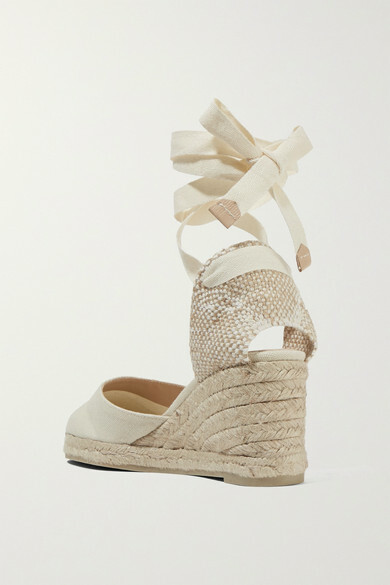 Castañer designed the first wedge espadrilles for Yves Saint Laurent in the late '60s and the rest, as they say, is history. 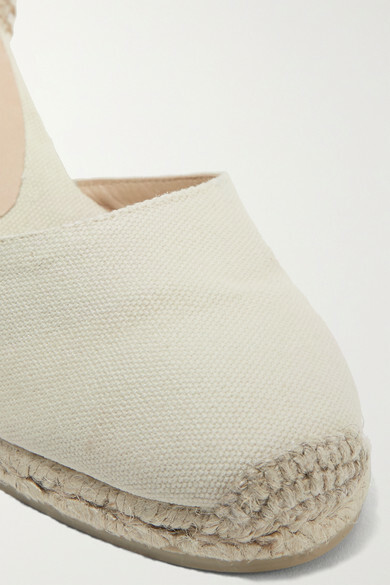 One of the Spanish label's signature styles, this 'Carina' pair is made from lightweight oatmeal canvas and has soft taupe ties that wrap-around your ankle. Wear them with everything from maxi dresses to shorts on vacation. Shown here with: RIXO London Dress, Ulla Johnson Tote, Alighieri Necklace, Leigh Miller Earrings, Leigh Miller Necklace.